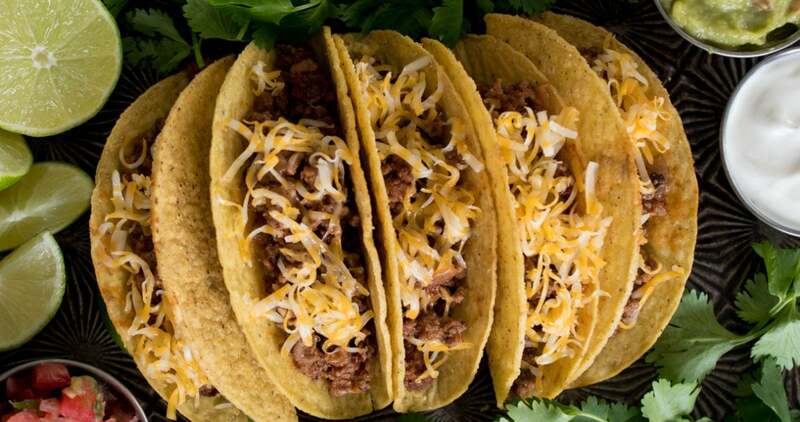 If you grew up in the USA, there’s a good chance you grew up eating ground beef tacos. It’s a classic, family-friendly dish that kids and adults can eat together. There’s a reason Taco Bell sells millions of ’em. But you can make them a lot better yourself at home, with no mystery ingredients! Lots of people use pre-made taco seasoning, and I have it in my pantry as well. In fact, it’s a key ingredient in two of our most popular recipes: Best-Ever Mexican Black Beans and Five-Ingredient Mexican Rice. I just don’t love it for making tacos. I wanted to make ground beef tacos from scratch for a more complex, balanced flavor. I played around with this combination of chipotle chiles, tomato sauce, and traditional Mexican seasonings, and I think it’s a winner! My husband and 14-year-old son could not stop eating these tacos. We had them for dinner two nights in a row, as I was testing the recipe and taking photos, and no one complained! Our grown daughter who’s a nurse was also happy to see there were some left over when she got back from a long night shift in labor and delivery. She deserves a little comfort food after taking care of mamas and babies all night! This recipe uses canned chipotle chiles in adobo sauce. Chipotle chiles are jalapeños that have been smoked, so they are a dark, reddish brown color. They’re medium spicy, with a distinctive, smoky taste. If you’re hesitant about spicy food, remove the seeds from your chipotles, and start with half the amount called for in the recipe. You can always add more if you want more heat. 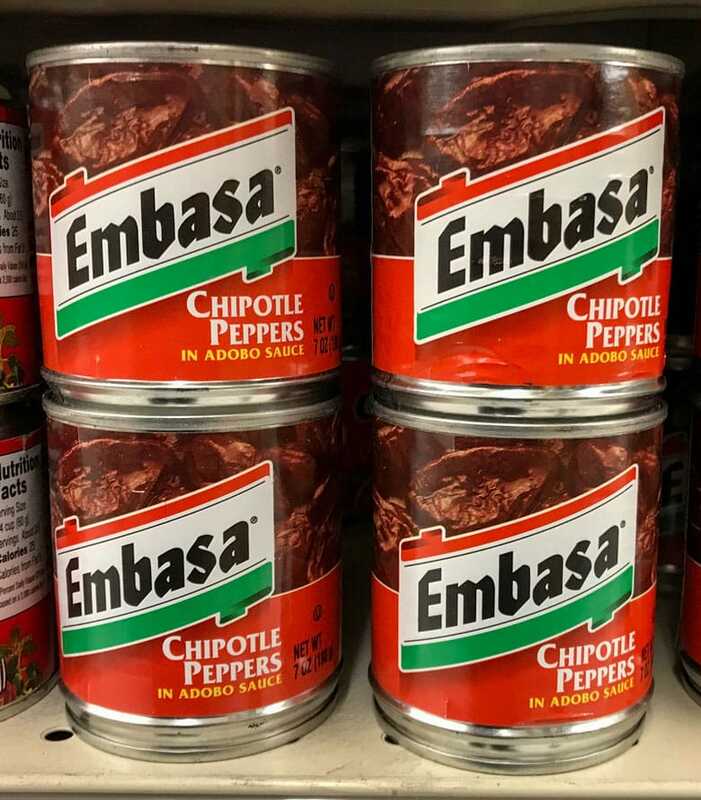 There are eight or so chiles in each can, an amount you could never use for one recipe! 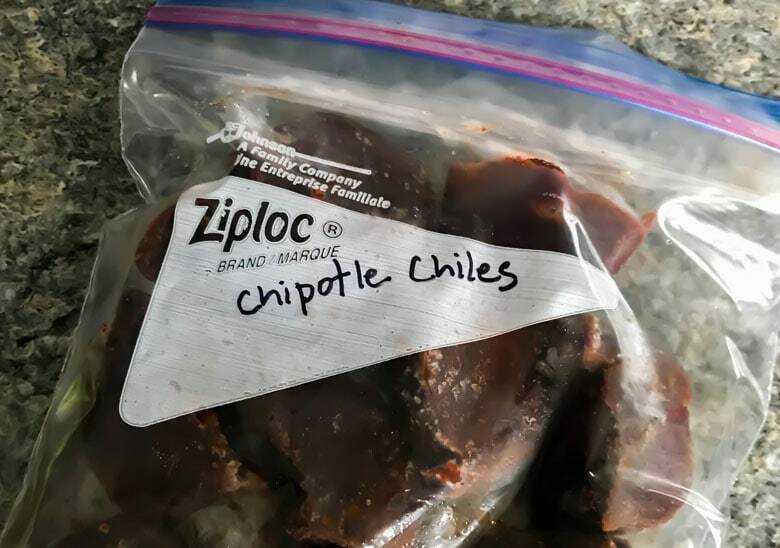 Instead of throwing away the leftovers, I usually chop up the whole can of chipotles, mixed with the adobo sauce from the can, and put about 2 tablespoons of this mixture in each compartment of an ice cube tray. You can use a food processor to chop the chiles, or just use a knife. Make sure to wash your hands after handling any kind of hot pepper. Freeze the chopped chiles, then pop out the cubes and store them in a ziploc bag in the freezer. They will stay fresh in the freezer for a year. Making these ground beef tacos from scratch is a simple three-step process. 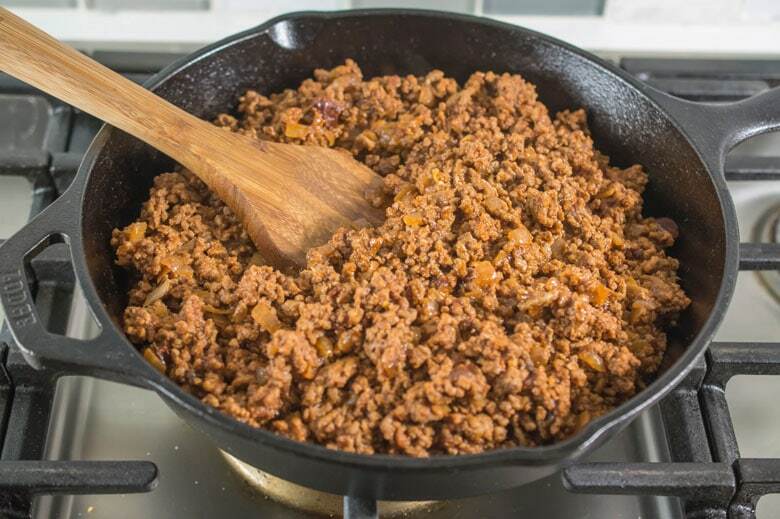 The first step is to cook ground beef, onion, garlic, and salt together in a skillet, then drain away the excess fat. Next, return the meat mixture to the skillet add chopped chipotle chiles, chile powder, oregano, and cumin. Cook and stir until the seasonings are well incorporated and starting to get toasty. The third step is to simmer the seasoned ground beef with tomato sauce, water, and a touch of agave nectar or honey. The simmering process develops the flavor of dried herbs and spices. Simmer the taco filling long enough to evaporate most of the water, so your tacos aren’t soggy. 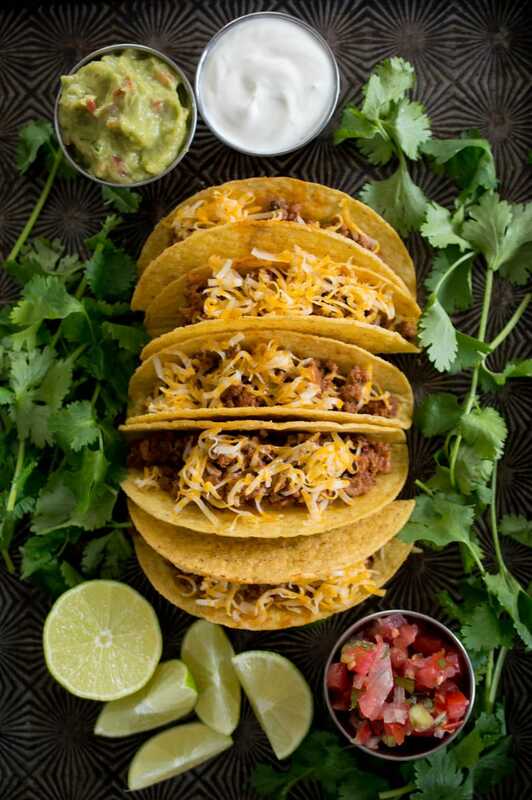 While the taco meat is simmering, taste and adjust the seasonings to your liking. Sometimes I’ll add a touch more salt, garlic salt, oregano, or agave. It’s easy to make a double batch of this taco filling, using three pounds of ground beef. You can divide it into two or three portions, depending on the size of your family, and keep some in the freezer to use on a night when you don’t have time to cook. When it comes to tacos, some people are team hard shell, and others are team soft shell. Choose your favorite. For ground beef tacos, I like crunchy corn shells. You can also use this filling for tostadas, burritos, nachos, rice bowls, or taco salad. 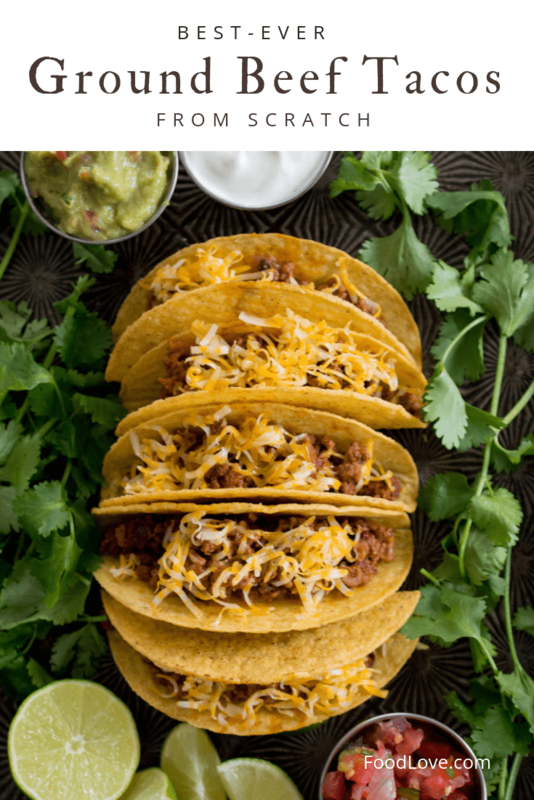 Serve your ground beef tacos with lots of toppings, like shredded cheese, pico de gallo, sour cream, guacamole, diced tomato, diced white onion, or chopped fresh cilantro. 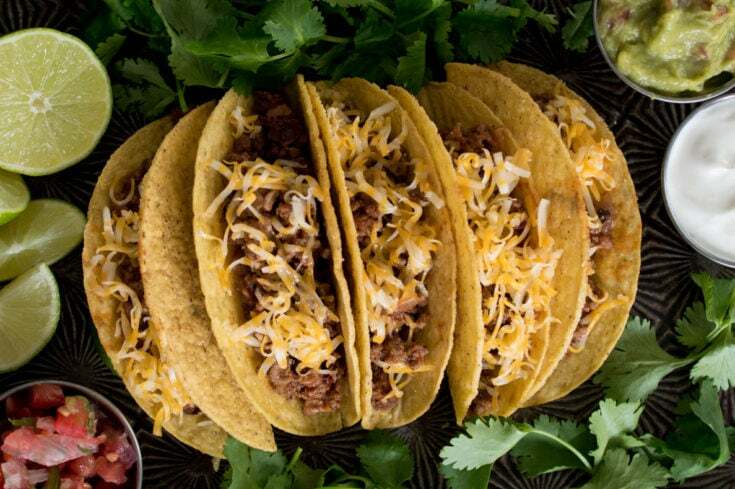 Elevate your classic ground beef tacos with this from-scratch recipe, and you won’t be sorry! 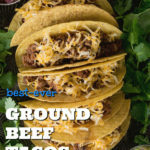 Level up your ground beef tacos! No dried spice packs, just a super-easy sauce from scratch! Dice the onion and chipotle chile, and press the garlic. Set aside. 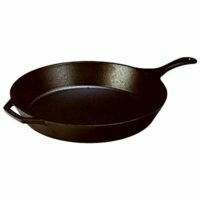 In a large, heavy skillet, cook the ground beef, onion, garlic and salt over medium high heat until the meat is cooked through and no longer pink. 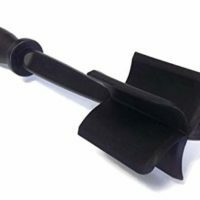 While cooking, break the ground beef into small pieces with a spatula. Once the meat is cooked, drain the meat/onion mixture using a colander. Return the meat mixture to the skillet and add the chipotle chile, chile powder, oregano, and cumin. Cook and stir over medium high heat for 2-3 minutes over medium high heat until the spices are mixed throughout and beginning to toast. Add the tomato sauce and water, along with the agave syrup, honey, or sugar (optional), and stir until well blended. Reduce heat to low. Simmer the meat and sauce for about 15 minutes or until most of the water has evaporated. While the taco filling is simmering, taste and adjust seasonings to your taste. 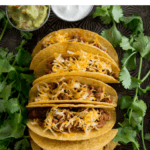 Serve in hard or soft taco shells with your favorite toppings, such as shredded cheese, sour cream, salsa, guacamole, shredded lettuce, diced tomato, diced white onion, or chopped cilantro. Nutrition info is for prepared taco meat only.